The Mississippi History Store at the Welty Education and Visitors Center offers a selection of books by and about Welty and displays special items of interest to Welty collectors and fans in a wide price range. Merchandise ranges from fine art and Welty photographs to postcards, key chains, and posters, including the commemorative Welty Centennial poster featuring Welty’s “shadow self-portrait” in her image of the ruins of Windsor. 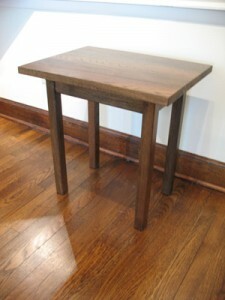 As noted, the sale of some items benefit the Eudora Welty Foundation and must be purchased directly from the foundation. A limited-edition print of Welty’s photograph “Window Shopping” is a special treasure. This 16” X 20” silver gelatin print was produced to celebrate the opening of the Welty House Museum in 2006. 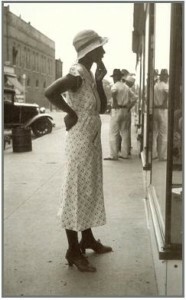 The cost is $1,000.00, and proceeds from sales of the print support the Eudora Welty Foundation. For more information, contact foundation@eudorawelty.org. 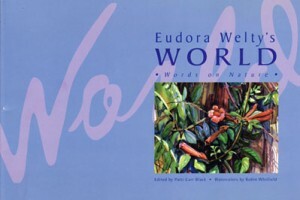 Eudora Welty was deeply attuned to nature; her fiction is rich with her knowledge of and pleasure in the natural world. This attractive gift book contains some of Welty’s most evocative quotes on nature, complemented with watercolors of Mississippi scenes by artist Robin Whitfield. Black, Welty’s longtime friend and noted author/editor and museum professional, donated the books. Cost is $20.00 including tax and postage. Please contact foundation@eudorawelty.org for more information. Proceeds help support the Eudora Welty Foundation. 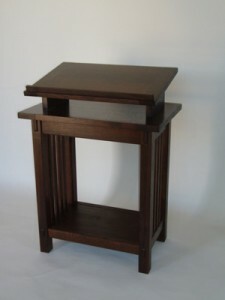 Created by master craftsman Fletcher Cox from the wood of the water oak which grew in front of the Welty House, these two collector’s items of furniture, a Craftsman-style side table and dictionary stand are available for purchase through the Welty Education and Visitor Center’s museum store, now at discounted prices. The tree was a sapling when Welty moved into the house with her family in 1925 but had to be removed in 2005 at the end of its life to protect the integrity of the house. Call (601) 576-6921 for more information. 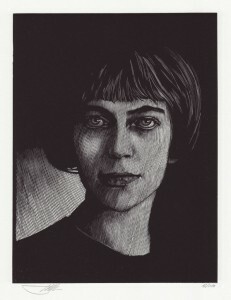 Five engravings of Eudora Welty portraits by award-winning artist Barry Moser depict Welty at different times in her life. From a limited run of 100, all prints are signed and numbered by the artist. Donated by the artist, they sell for $250.00 each, plus tax and shipping, and all proceeds support the Eudora Welty House and Garden. Moser also illustrated a limited edition of Welty’s The Robber Bridegroom and won the National Book Award for design and illustration for Lewis and Carroll’s Alice in Wonderland. 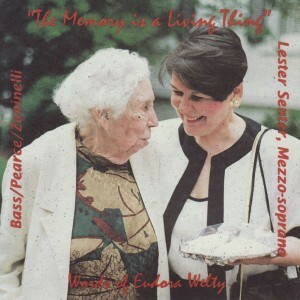 The CD features a selection of songs based on the writing of Eudora Welty and performed by Lester Senter, Mezzo-soprano, with the Mississippi Symphony Orchestra, Colman Pearce, conductor, and the Hotel Beulah Band, Randol Alan Bass, conductor is offered for $5.00. 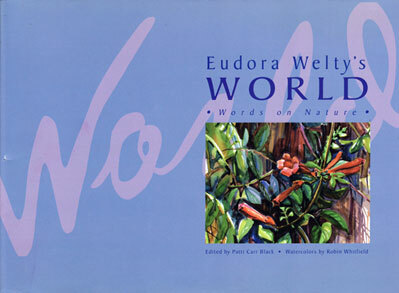 Copies of the CD were donated by Senter, and sales benefit the Eudora Welty Foundation. Please contact foundation@eudorawelty.org for more information.